The Best Rental Company for You! Colorado’s Premier Rental Company: The Best Rental Company For You! 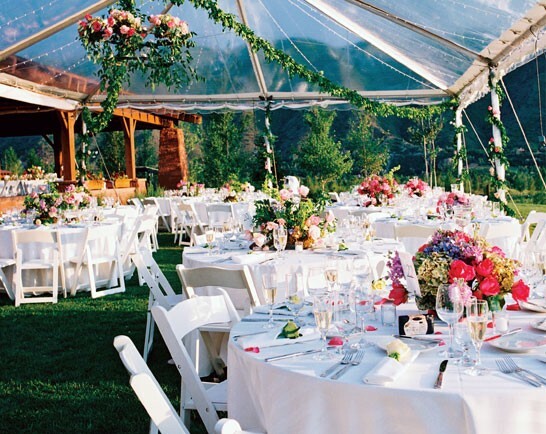 Colorado Party Rentals offers the finest wedding, party, tent, and event rentals for your event! We provide superior, high-quality equipment, friendly and knowledgeable customer service, and prompt delivery with by a professional staff. No event is too big or small for our personalized attention. We work with you step-by-step to provide the very best options in the region at an affordable price. Check out our Showrooms! Have a few ideas, but you’re not sure how it will all come together? Schedule a visit to one of our showrooms! We have working design tables which allow you to see how all the table top elements come together. We highly encourage you to make a showroom appointment with an event specialist. We offer appointments 7 days a week with two locations – Denver and Colorado Springs. Birthdays, corporate meetings, baby showers, bachelorette parties, holiday celebrations, and more! Regardless of the type of event you are planning, at Colorado Party Rentals we realize that you are depending on us to make your special event a success. We offer delivery and pick up 7 days a week, 24 hours a day. We also offer set up and strike services – let us do the heavy lifting! Throwing a backyard BBQ? You’ll need a grill and a lounge set. Fire Pit for smores? We have that too! Our Vintage china and Carousel goblets are a quick way to enhance baby and bridal showers and don’t forget about backyard games! Choose from hundreds of options to make your special day just like you imagined. Our experienced team of Wedding and Design Specialists will talk you through the big day to be sure all your bases are covered! We regularly work with area event planners, caterers, venue coordinators, and more; we’re happy to sit down with you or your partnering vendors to create a successful event. From homeowners throwing a backyard party or wedding, to major festivals, fundraisers, corporate events, trade shows, and concerts – We’ve got the right tent for you! We assist with permitting, CAD layouts, custom lighting plans, and more. Schedule a complimentary consultation with a Tent Specialist to find the best tent for your budget and vison! Contact us today and let’s plan successful and unforgettable events together!